Many people are surprised to hear that grapes can be grown outside of a hot climate. They’re not actually as challenging to grow as they may first seem – we’ve run through some top tips for growing in a greenhouse. If you’re in the UK, using a greenhouse to grow grapes will improve your chances of getting a good crop. Additionally, growing under glass can yield a sweeter flavour and quality of fruit, although it’s not essential to grow in a greenhouse. Do note that grapevines grow substantially and they’ll take up a lot of room, so if you’re using a small greenhouse, limit yourself to just one vine and grow it in a tub. This restricts their roots so that they stay smaller. 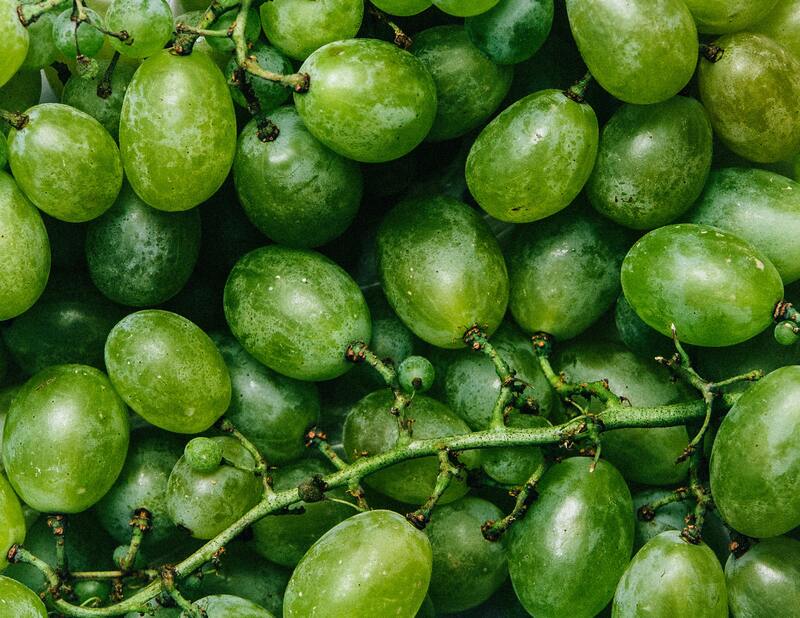 The two main varieties of grapes grown are the Black Hamburg, which produces large black grapes, and Thomspon’s Seedless, which are a green variety. There are actually three ways of planting grapes in a greenhouse – for larger greenhouses you can plant the grape with the root outside, or with it inside. Planting in a tub is better for small greenhouses or where you would like a number of grape varieties in a bigger greenhouse. Let’s first take a look at planting with the root outside. With this method, the vine is planted outside, and then trained into the greenhouse. This is done either by removing a brick in the bottom of the greenhouse and training it through, or using a hole in the top of the greenhouse and leading the vine in. Grapevines have very extensive root systems, so planting with the root outside allows the root to expand and seek the moisture and nutrients it needs, potentially meaning that you won’t have to water the roots yourself as often. If you don’t have much space in your greenhouse, this method may be preferable, as it allows you more space in the greenhouse itself. If you’re unable or don’t wish to make a hole in the greenhouse to train the grapevine through, it’s also possible to grow with the root inside. There’s also the option to plant in a border or container, with the roots inside the greenhouse. This method benefits from warmer soil, which may contribute to earlier growth, but note that as it’s inside, the plant will require irrigation and greater attention and care from yourself. Vines like to grow and grow so they can quickly take over a small greenhouse. Planting in a tub checks their growth by limiting the ability of the roots to spread. Make sure that the chosen tub has adequate drainage and is filled with good quality compost. They will also need to be fed occasionally and will need to be regularly watered. One advantage of growing in a tub is that they can be taken outside when the crop has finished. Vines themselves are quite hardy, the greenhouse is used to boost the fruiting of the grapes. Ruthless pruning down to just 4 – 6 stubs will ensure the vine does not go wild the next year. Just before growing starts in the Spring, sprinkle the rooting area with bonemal and fertiliser, and feed every three weeks once they have begun to grow. Once the grapes get their colour and have started ripening, stop feeding them, to ensure they retain the best possible taste. Water the grapevines every seven to ten days during the growing season (more frequently if they are in tubs), but remember that outdoor roots will require less water (unless you’re experiencing a spell of dry weather). The grapes may need a hand with pollination once the vine comes into flower. You can do this by hand-pollinating them with a feather, or by shaking the stems when the greenhouse is particularly warm and well-ventilated. Either method will help with transferring pollen between the flowers. Grapes grown in a greenhouse will require pruning, just like outdoor grapes. For grapes grown under glass, the rod and spur system is usually used, whereas the Guyot system tends to be used for outdoor-grown grapes. This article from RHS goes into a lot more detail on pruning grapes, and is worth a read. 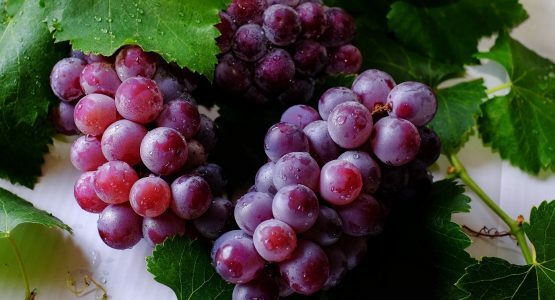 In terms of diseases, powdery mildew can affect grapes, often brought about by poor air circulation, heat and crowding. There are a few varieties of grape that are mildew-resistant, or you can stay on top of pruning to ensure the plant doesn’t get too overcrowded. Alternatively, you could use a suitable fungicide. Gray mould is another one to look out for, which you can help protect against by ensuring your greenhouse is well-ventilated and any dead plant material is removed quickly. This basic guide to growing grapes in a greenhouse should provide a good foundational knowledge of what you need to do. Hopefully you can see that growing grapes isn’t as daunting as it first may have seemed, and we suggest you give it a go! If you’re up for another interesting fruit to grow, why not read our guide on how to grow melon in a greenhouse?